Asia, the birthplace of some of the most important and oldest civilizations in the world, is a continent that begs to be explored. An unparalleled sense of diversity permeates through the entire continent, with contrasting cultures, a wide range of gastronomic experiences, juxtaposing landscapes, and astounding histories. In this article we show you the top 10 travel destinations in asia. It’s practically impossible to wind down the top places you should visit in Asia, the continent is sprawling with 48 countries, some of them big enough to be considered their own worlds, it is diverse, rich and teeming with a sense of life and vibrancy. From camels exploring deserts to elephants walking around temples nestled in jungles, from black-sand beaches and the Dead Sea to pristine crystal waters, from staggering skyscrapers to floating villages, there’s nothing you won’t find in Asia. It’s a continent bustling with adventure, spirituality in all of its forms and shapes, solace and countless marvels. Asia is here to astound, to invoke wonder, to incite awe – think of deserts flowing down juxtaposed with snow-capped mountains, think beautiful rivers snaking their way through temples and infested jungles, think skyscrapers next to ancient walls, lost cities and the showcase of a rich, varied culture. Every country in Asia is worth visiting at least once, every city begs to be explored – but if we had to choose, here are the top 10 destinations that cannot be missed in Asia. Thrilling with energy, pulsating with life and vibrating with vigor, Bangkok should be on top of your list of places to visit in Asia. 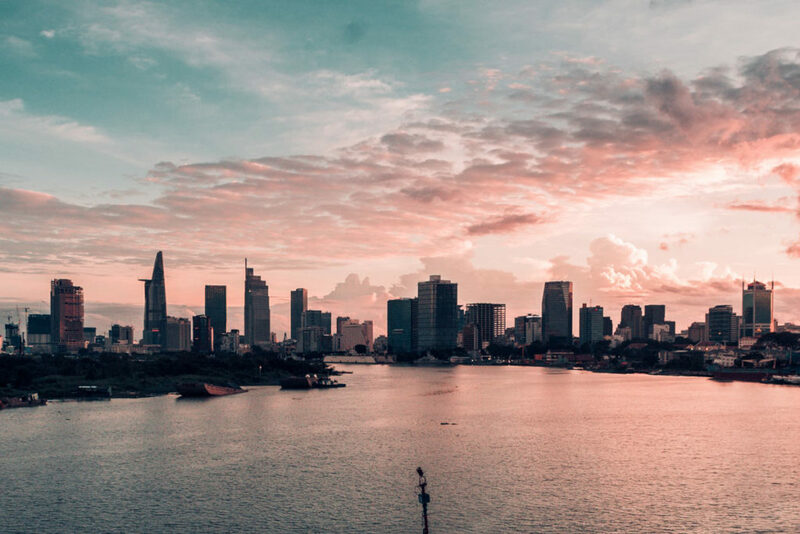 There’s quite frankly no capital city like it, and it will be a challenge for you to take on Bangkok at first. But the beautiful thing about it is that it will slowly and surely get under your skin and seduce you into its chaos. The mesmerizing blend of golden palaces with skyscrapers, the dizzying contradictions between the temples and red-light districts, the floating markets and the upscale eateries – Bangkok is different from anything you’ll see. The megalopolis boasts an incredible image of extreme modernity without losing the harmonious deeply rooted traditions that have been there for hundreds of years. Go on river trips, visit museums, shop, or enjoy the nightlight! 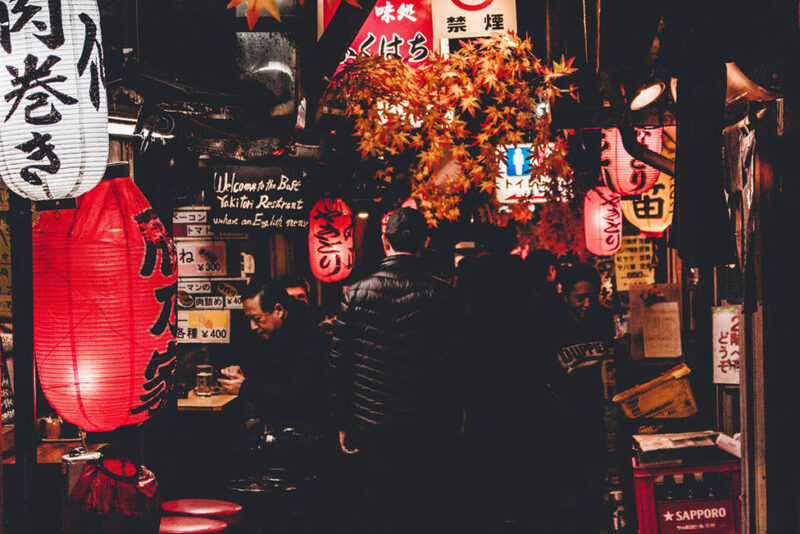 Traditions, pop culture, manga, anime, cherry blossoms, and neon lights – all iconic of the city of Tokyo. 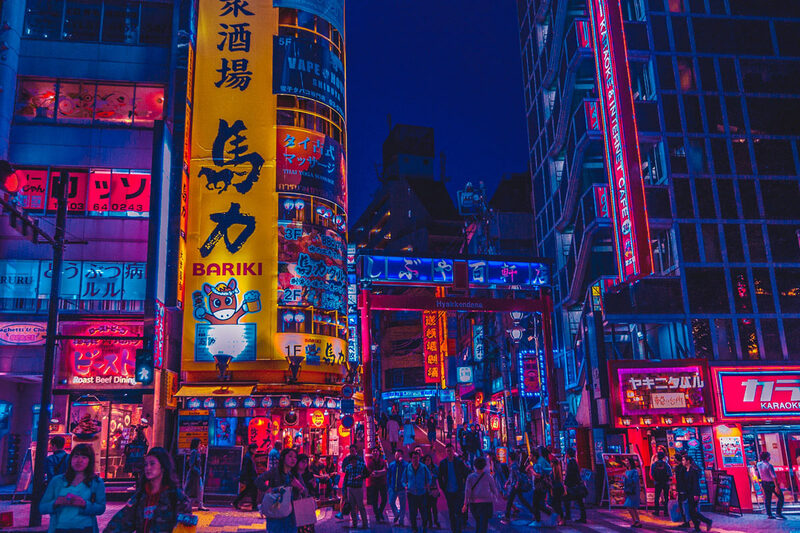 A dizzying whirl of bold innovation, incredible aesthetics that drip with tradition and a modern city built atop years of ancient traditions, Tokyo continues to push boundaries on what is possible every day. The city is endlessly fascinating, with the springtime cherry blossom coloring the landscape of gardens and shrines, and the neon-lit streetscapes resemble a sci-fi movie.Tokyo is futuristic, it offers incredible designs, older neighborhoods, beautiful rivers and a chance for you to brush intimately with the Japanese culture. You know those cities where you have to crouch and jump to get that perfect picture of, find the perfect lighting, and get that perfect angle to get a somewhat decent shot? Well, Bali is the exact opposite of this. It is simply mind-blowing how that city is a living, breathing postcard with the perfect shades of blue and green intertwining together to create an almost magical feel. Straight out of a fantasy book, Bali mixes the tropical with the spiritual, offering an incomparable mixture. 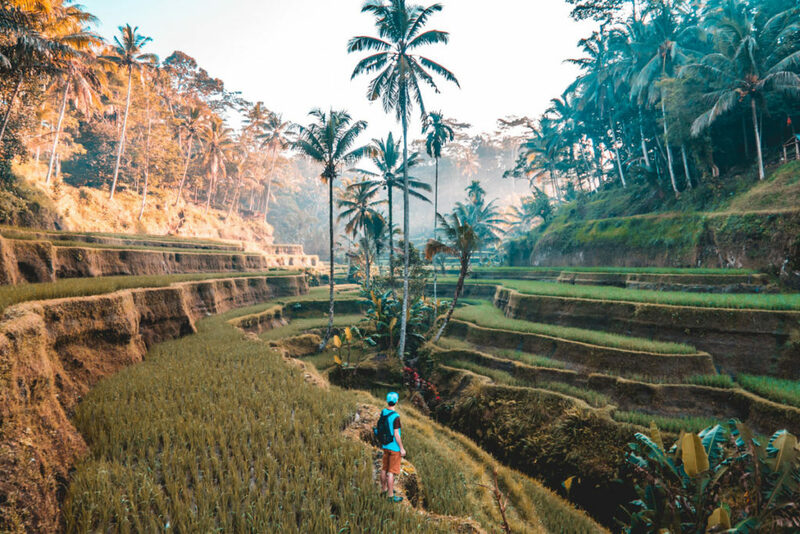 Think enormous temples, volcanoes, terraced rice fields, some of the world’s best diving sights and a great cultural heritage – Bali is there to impress. It’s one of the most popular destinations in Asia and specifically preferred amongst honeymooners. It provokes feelings of bliss and freedom as you walk through picturesque backdrops, colorful structures, white sands and tropical creatures. You can spend your mornings between the pristine waters, your afternoons in stone temples nestled in jungles, and your evenings in breath-taking temples. You can spend your days exploring the highest diversity of marina species on earth, or lose yourself in it all and the let island lead your way. The morning light slowly washing over mist-covered temples, the first rising sounds of bustling markets, the sight of vendors, and crowded streets, the blend of beauty and adventure are all some of the few things you can experience in Siem Reap. Located in Cambodia, Siem Reap is the gateway to exploring the world-renowned Angkor Wat with its breath-taking perched in between a lush jungle with vines running naturally through their edifices and wild animals roam freely around. The structure of Angkor Wat is considered the largest religious monument in the world, standing proudly since the 12th century. 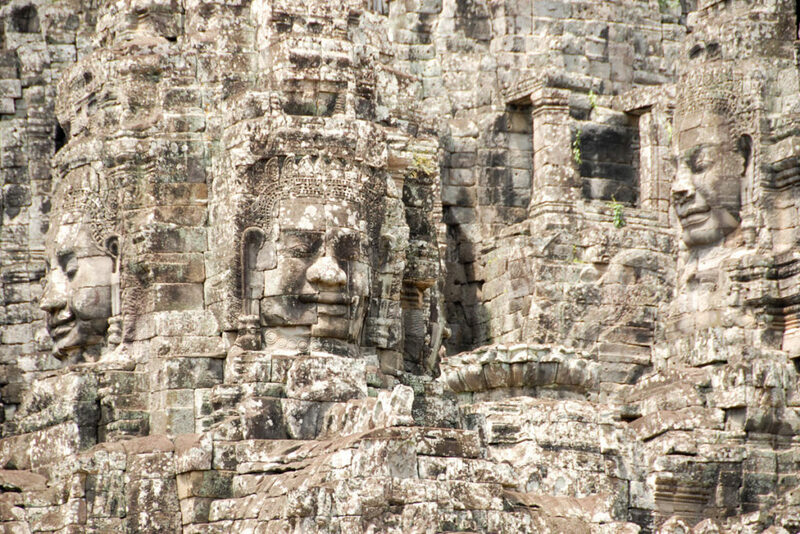 Siem Reap is the blend of several cultural influences to create a multi-faceted city with many different cultures – from French to Cambodian, thus boasting a land of soaring skyscrapers contrasting exquisite sculptures. Explore the rural old town dotted with French style houses, shops, museums, and old markets that attract the locals every day. Revel in the small town charm that has been successfully preserved by Siem Reap throughout the years, wander through lively markets, or have peaceful walks by the river by sunset. 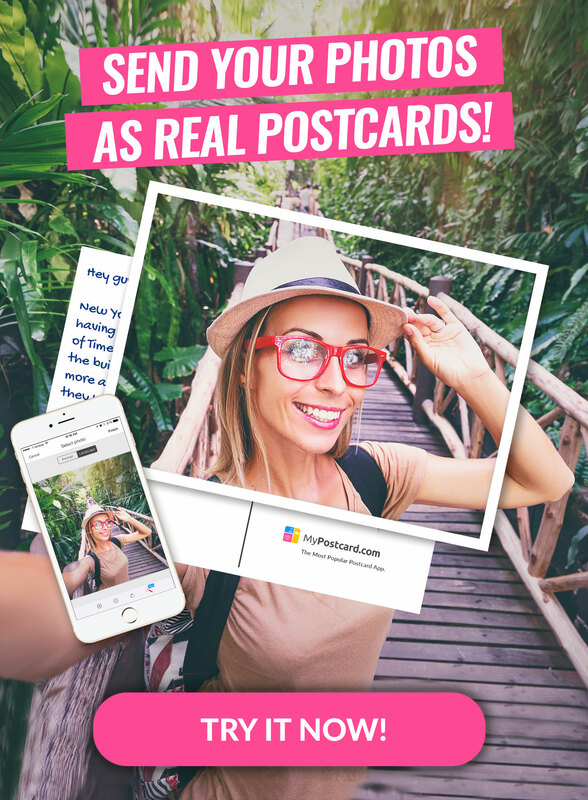 Head over to the modern town with hotels, restaurants, bars and boutiques that give the city a hint of glitz and glamour, learn about the history of Cambodia in the Cambodian Cultural Village, or hop from one attraction to the other! There’s plenty of things to do, from the floating villages, to more adrenaline-inducing activities. 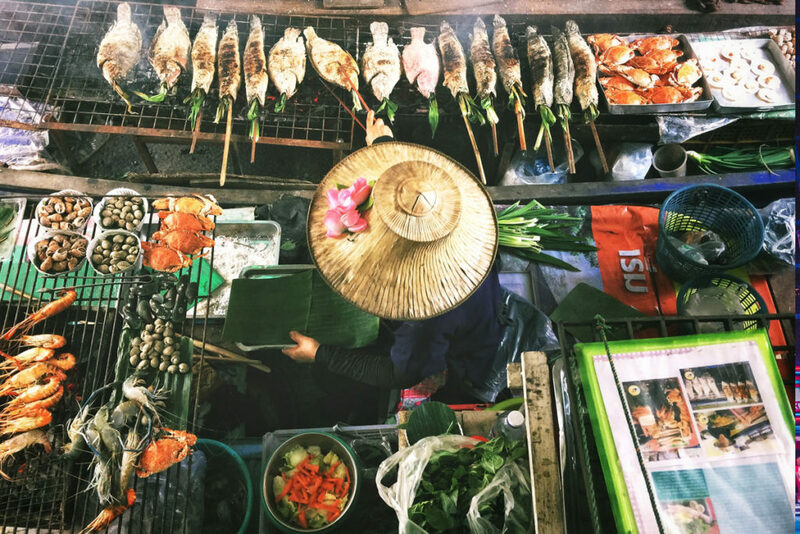 You can spend the entirety of your time in the Buddhist temples, or tour an ancient capital, you can spend your time eating and drinking at the Made in Cambodia Market or get lost in the wild jungles! Hong Kong looks like something straight out of a futuristic video game, a vibrant, multifaceted city that will surely be a feast for your senses. You won’t know where to start – the futuristic skyscrapers? The shimmering harbors? The historic trams that run up and down the center? The spectacular skyline? The cultural diversity? You could spend your entire life in Hong Kong and still not be able to scratch the surface. The contradictions interplay together to create a sprawling, technically advanced metropolis that was built with the main principles of Feng Shui…You’d be surprised to know that Hong Kong is nestled between mountains, national parks and not only does it have incredible advanced monuments, but it’s also rich with geological and historical gems. 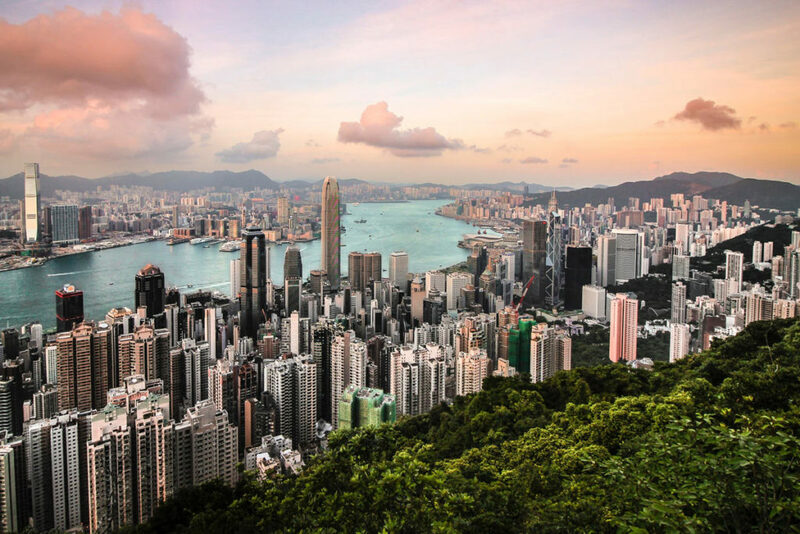 Visit the Hong Kong Museum and enjoy the Chinese artworks, or hike the hills of Nan Lian Garden…Visit Ngong Ping village and take in beautiful views of the Victoria Peak after, try the mouth-watering cuisine in this culinary capital and get lost in bohemian and hip Soho! 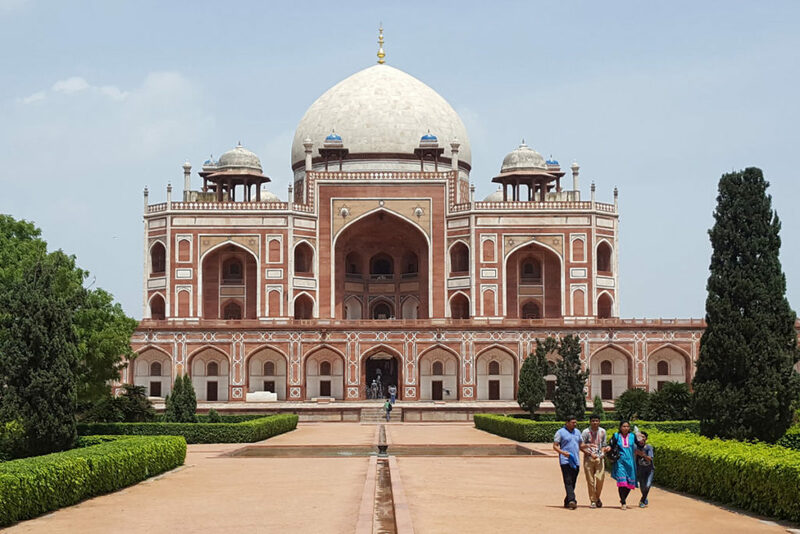 Embark on a journey to the beautiful New Delhi in India, a land that has been known to inspire, move and spiritually stir even the toughest of people. New Delhi dances with life, drums with energy and pulsates with vibrancy, it emanates thrill, passion and chaos! It’s a city where you find yourself falling in love with the whizzing tuk-tuks, and the sound of street vendors, where you find yourself going from a mosque to a temple in the span of a few minutes, and it’s where you get to experience the raw, unfiltered Indian culture. Travel back in time and immerse yourself in Old Delhi with its frozen-in-time appeal, visits its mosques and forts and try food from the hundreds of stalls, then move over to New Delhi with its shopping malls, modern monuments and colonial architecture. 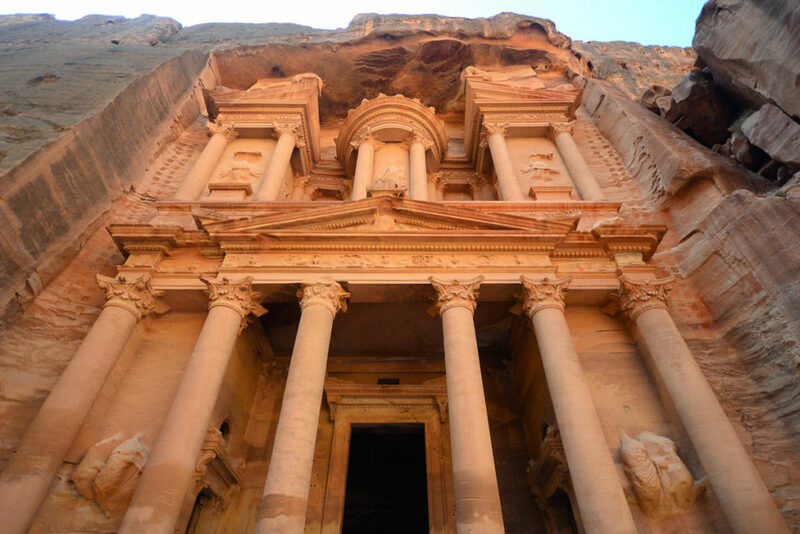 The Jewel of the Middle East, and the ancient land of lost cities and enchanting sites, Jordan is a destination with an immense variety of activities to do – from snorkeling, to visiting ancient ruins, to camping in the desert, to floating in the water of the Dead Sea. It’s a country of ancient, man-made wonders mixed with modern cities and gorgeous natural landscapes, a land with culture, with history, and one of the oldest inhabited countries in the world – it’s the place to be. Petra is one of the very few cities in the world that has managed to fill every one of its visitors with a sense of awe and wonder. It’s an architectural masterpiece, and one of the oldest metropolises in the world and a UNESCO World Heritage site. Chaos, grandeur, splendor and utter awe are what make Ho Chi Minh the most interesting city in Vietnam. Hundreds of things happen at the same time on the streets, there is constantly something happening around you, there’s a sensory overload taking over your body, and there are practically endless things you could do. Take a journey through the past and watch how American and Chinese influences blend together to remind you of the country’s poignant history, walk around historical museums, enjoy the nightlife and of course….relish in the delicious cuisine! 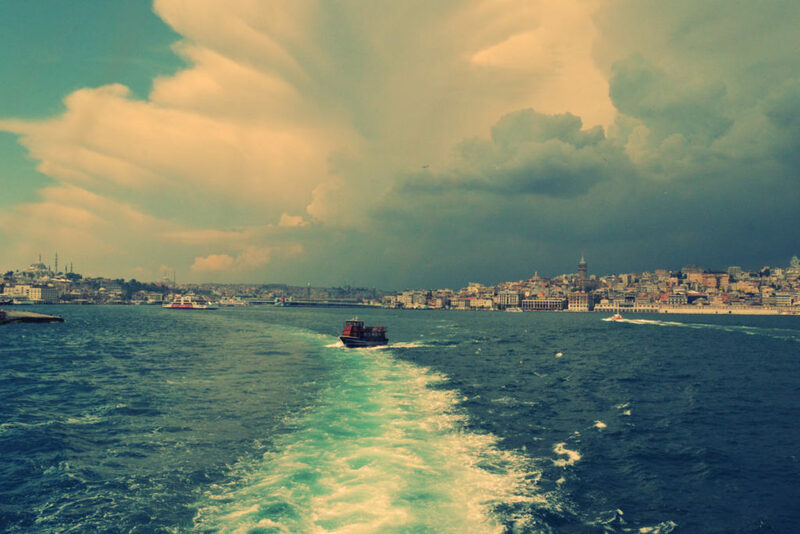 Walk through colorful bazaars, smoke shisha at a qahwa, and revel in the eerie sound of prayer wailing across the city every few hours…Learn about the legacy of the Byzantine and Ottoman empires, gawk the gorgeous Byzantium architecture and experience Istanbul by getting lost in its streets. 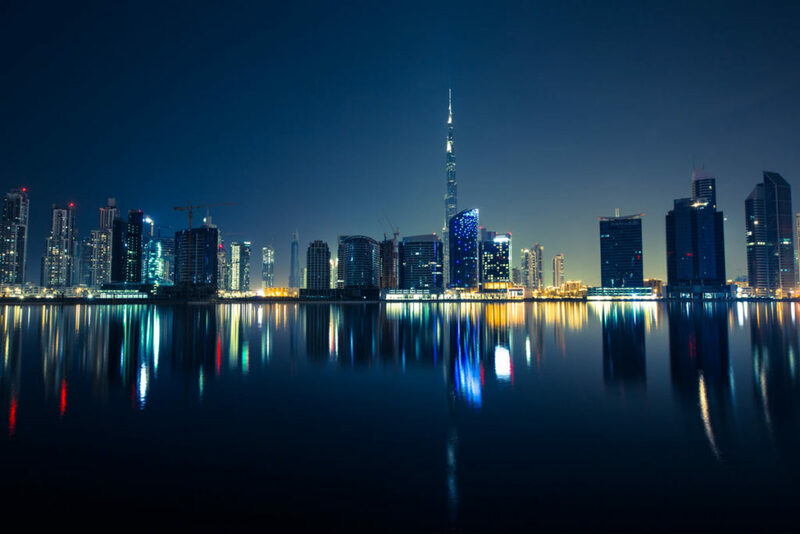 Simply one of the most glamorous cities in the world, Dubai is one of the most fascinating cities and one of the top travel destinations in the world. Year after year, Dubai tops every travel list and for good reason! Get up close and personal with the Bedouin culture, check out bustling souqs with incredible archways and textiles, unleash the glitzy celebrity inside of you and rent a yacht or enjoy panoramic vistas from atop the Burj Khalifa. Dubai is the cultural and entertainment hub of the Middle East, and the amount of things you can do there is countless. Want to visit the largest aquarium in the world? Check. Ski in an indoor winter wonderland and then visit an aqua theme park right after? Check! Want to take an Abra boat along the lake as dancing fountains dance around you to oriental Arabic music? Check! In Dubai there will always be something to do, a place to go or an attraction to admire! What is your next dream destination in Asia? There’s no doubt that there are ten times more things and destinations to see in Asia, every city mentioned here is part of a large, more diverse country with hundreds of other cities that offers incredibly different experiences. No matter how many times you travel to Asia, you are bound to be surprised every time, and it’s guaranteed that you’ll never run out of options. You can spend one day going through Arabic bazaars and the next day in a Buddhist temple, one day surrounded by lush forests and the next embarking on a wild desert safari…You make your trip!